Round shaped foil balloon that measures approximately 18 inches. Minnie character jumping in the centre with happy birthday in yellow ink. Can be air filled and suspended or helium filled. Birthday Balloons round helium quality foil balloon that measures Approx 18 inches when inflated. 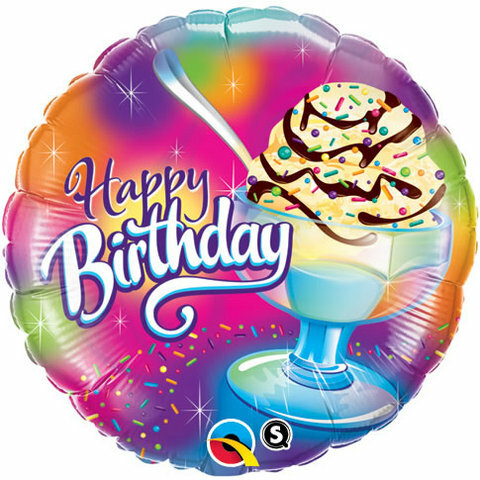 Foil has a red border with bright coloured balloons all over and Happy Birthday in the middle. Would make a great party decoration or gift. Suitable for helium or air filling and suspending.